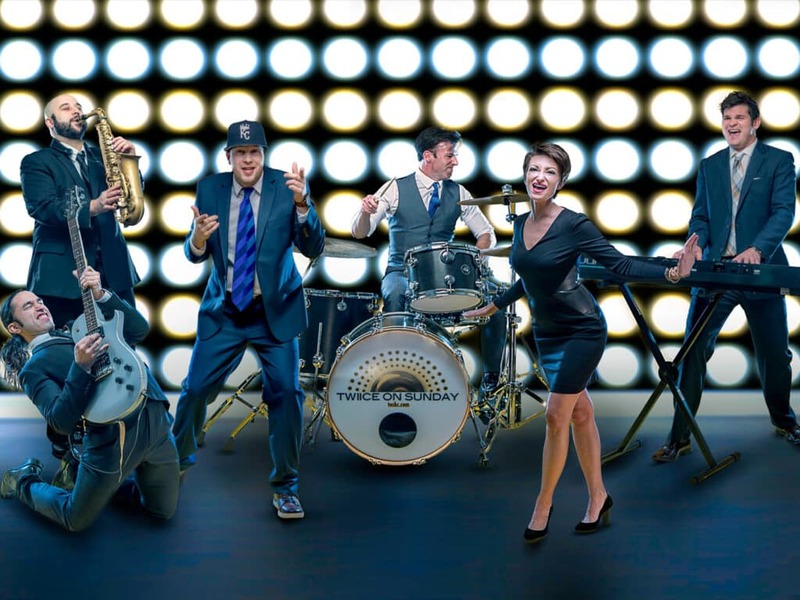 The second band born out of Jukeboxx and sister to Lost Wax, Twice on Sunday is a high-energy top 40 & variety group playing non-stop mashups & medleys, learning songs as they emerge at the top of the charts and mashing them up with funk, motown, & 90’s/2000’s hip-hop & R&B. They can perform with a variety of members. They can be as small as a 5-piece group or as big as a 14-piece band with the ability to add in live horns, keys, backup singers and more. Doing this gives them the flexibility to cater a wide array of needs and budgets in order to provide the best fit for your event. Services include: DJ & emcee service, lighting, sound, live music booked by the day & not by the hour. “5-Stars doesn’t even do this band justice. Where is the 10-Star option?! Twice on Sunday was everything. They were so easy to work with – my husband and I had seen them play at a bar before booking and had so much fun with their mash ups that we asked them to go with whatever sets they wanted. They killed it. Killed it! My mom and I are still laughing because once the band started playing we completely forgot we were hosting a wedding and couldn’t stop dancing and jumping up and down in pure glee. If you talked to me and my husband at our wedding, it was because you were dancing alongside us all night.